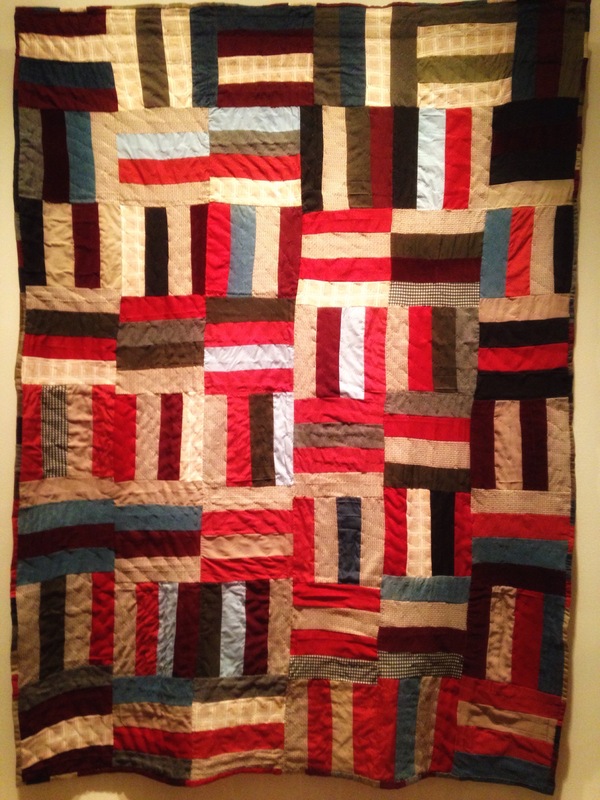 African American Quilts were on exhibit. 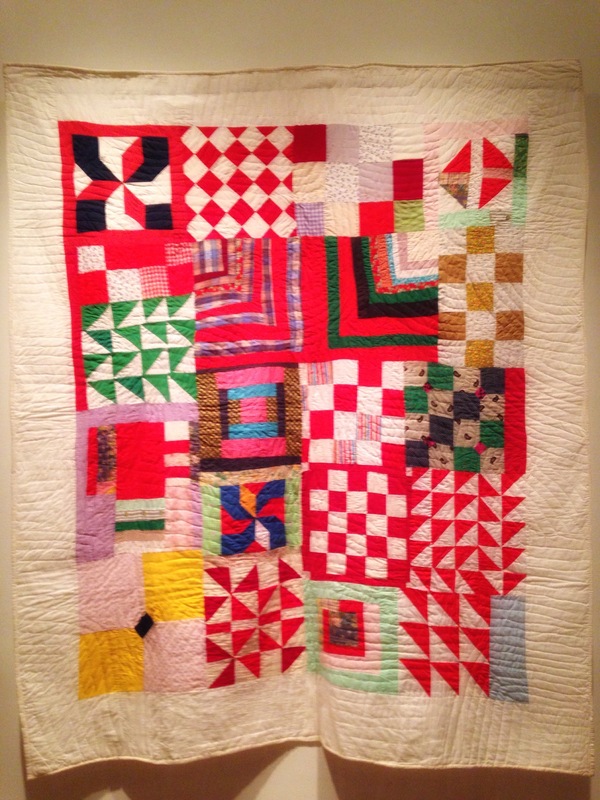 Each quilt was completely hand stitched by women in Alabama, Mississippi and Louisiana. Can you see the depiction of The Four Little Girls ? (killed by racists in a bombing at the 16th St Baptist Church in Birmingham, Alabama). If you look closely you will also see the grave of three civil rights workers; James Earl Chaney, Andrew Goodman, and Michael Schwerner. 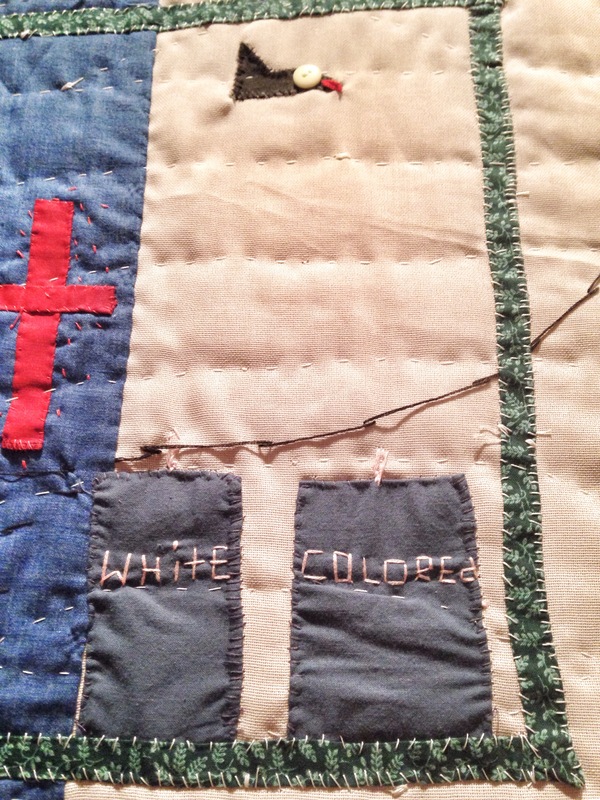 These were powerful images, stitched by Yvonne Wells, a retired educator from Alabama. She began quilting when her home was undergoing renovations and she sat by her fireplace and sewed quilts to keep her legs warm as there was no heat. 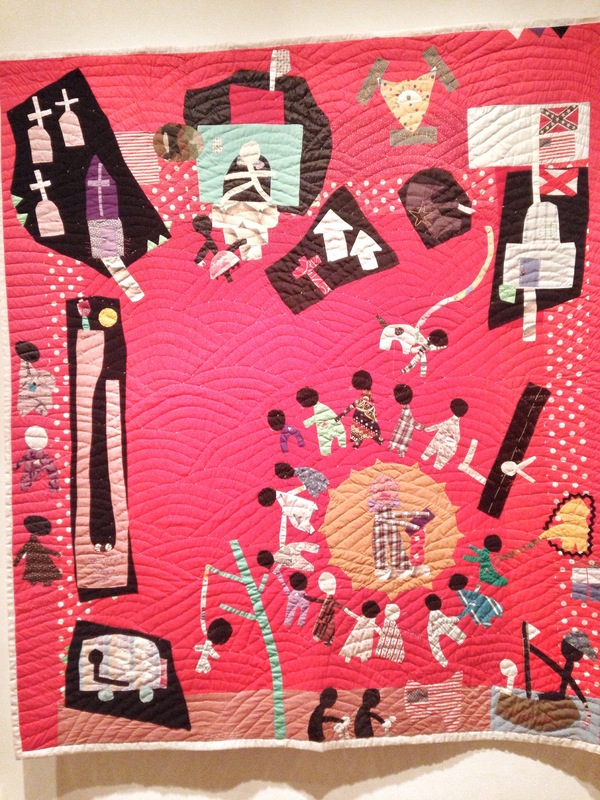 This is the Rosa Parks Quilt…a large figure towering over her environment. Rosa Parks ignited a movement when she refused to surrender her seat on a bus to a white person in 1955. Some were made with patterns using scraps of material on hand. Can you imagine these women sitting alone or in groups, drawing the needle through the fabric, through the batting, hour by hour, with patience and perseverance? I bow in respect and admiration. 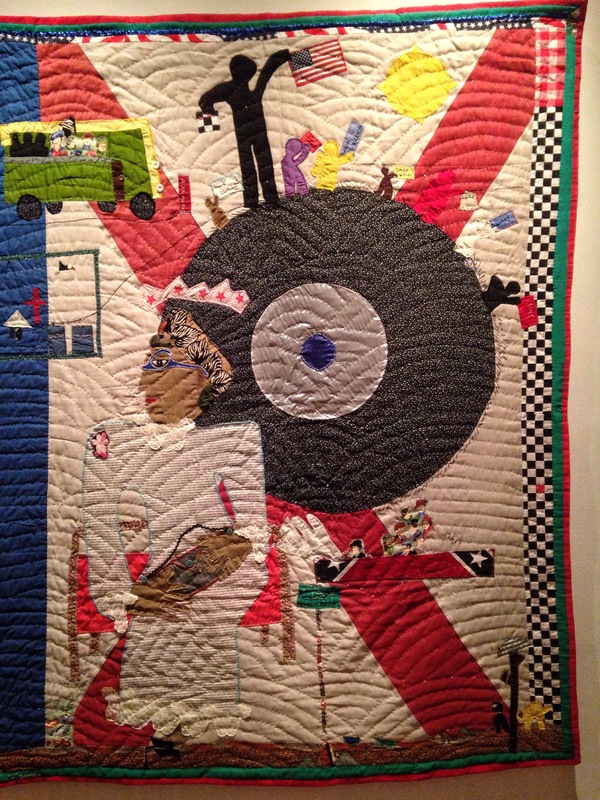 You have to click on that first quilt and blow it up to see the faces. Although, I only see two. Thank you for sharing this, Kim. Bow down, indeed. Love the quilts. 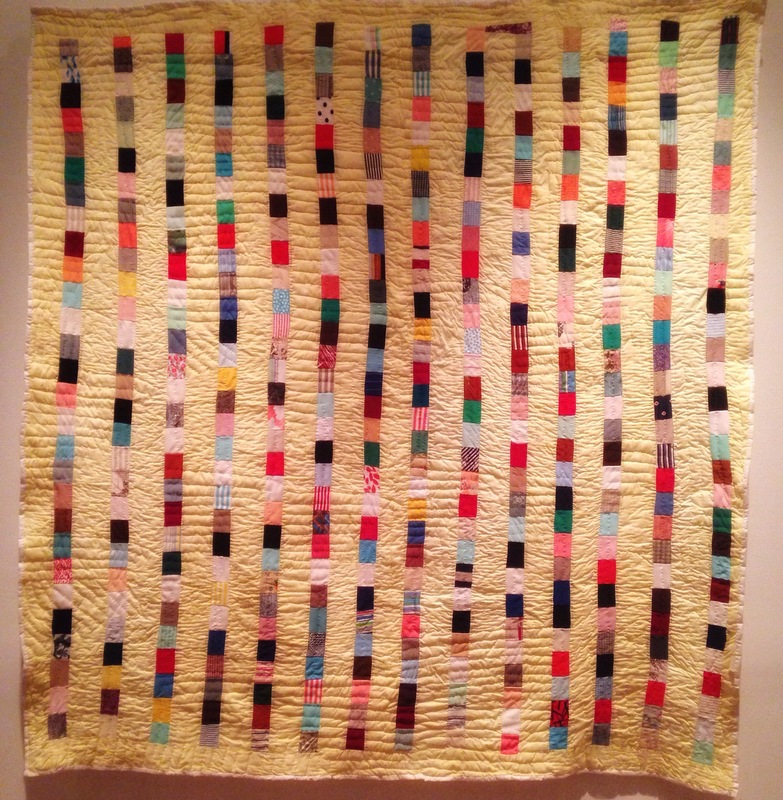 My grandmother made quilts by hand. By herself, with no frame. We still have some. I can still remember watching her hands do this work.